I've been nominated for the Liebster Award by freind, and actress Stacey Bradshaw from There and Back Again. I've really appreciated following Satcey's blog and seeing how she is using her skills as an actress to encourage and motivate others to glorify God. I can't wait to see the movies she's in, when they get produced:) Thank you Satcey for nominating me! 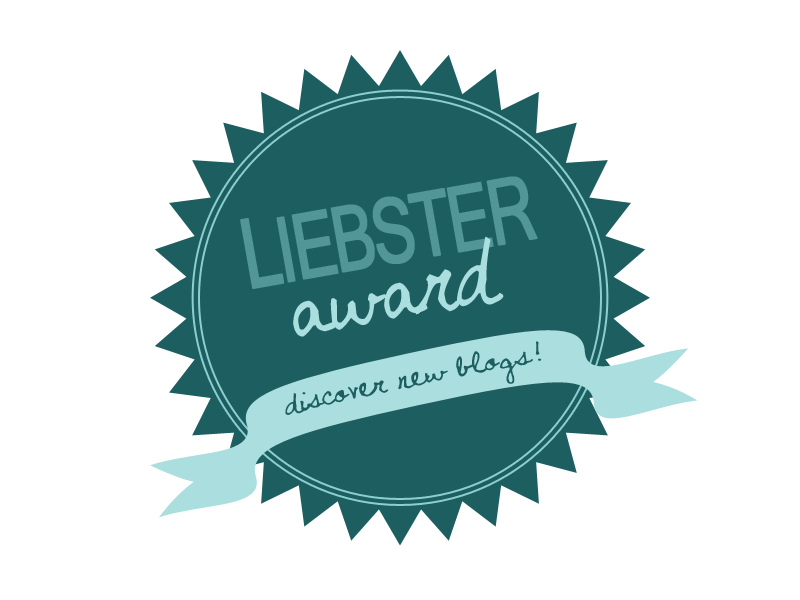 The Liebster Award exists to help bloggers get to know each other and spread the word about your blog and the blogs you love! Notify them that they have been nominated. Here's the questions Satcey asked me to answer. 1. What is a ministry that you are really passionate about? A ministry I'm really passionate about is the National Bible Bee. Since 2010 I have been blessed to participate, and be encouraged by the Bible Bee's desire to strengthen family relationships, and help us to refocus upon Christ by consistent study, and memorization of the Bible. It was through the National Bible Bee's discipleship program that I realized my need for salvation. God was gracious to grant me His mercy as I studied the book of Colossians. Every year since then I have been blessed to encourage the contestants of the Bible Bee, and to participate in the life changing impacts it has made in the lives of families, and young people across America. A random childhood memory I have is from 1999 when I won my first competition at a fair showing my pet sheep. It was a competition to dress up yourself and your sheep in wool. I dressed up in a plaid dress, with a prarie bonnet, and made a matching prarie bonnet for my sheep with holes for her ears to come out so the hat would stay on. I was very nervous about the competition, but I ended up getting a Blue ribbon in the end so it made for a good memory. My favorite animal is a Bernedoodle dog. It's a cross between a poodle and a Bernese mountain dog. It's black, white, and brown, with curly hair. 5. If you could live anywhere, where would it be? 6. Have you traveled abroad? If so, where? 7. What is your favorite historical era? Biblical history probably especially New Testament era. 8. Do you have a favorite author of classic fiction? 9. Do you have a favorite author of contemporary fiction? I'm not a fiction reader at all, but I guess of the authors I know of Janeette Oke would be my favorite, because I like w "When Calls the Heart"....although I've never actually read one of her books. I've only seen movies of her books, and I like them. 10. When you were little, what did you want to be when you grew up (and how does that compare to what you're doing now that you ARE grown up)? The mercy of God, and how there are SO many possible problems that could happen every day that don't. Each moment is a gift, and when I look at life that way, I'm motivated by the grace of God to move forward to make a difference for His kingdom. Here's your questions to answer! 1. What's your favorite book of the Bible and why? 2. What person has made the most impact on your life so far? 3. What do you hope to do for a living? 4. What is the quaility you most admire in your best friend? 5. What do you look forward to most in the future? 6. If life was to end right now, how would your family remember you? 7. What do you do each day to make a difference for the future? 8. What's your favorite sport and why? 9. How many Bible verses have you memorized? 10. What do you hope to accomplish before you die? 11. When was the last time you prayed? Thank you SO much Elanee!! How sweet of you! !